Chris Janson celebrated the one-year anniversary of his Grand Ole Opry invitation last night (Feb. 5) with a special performance. 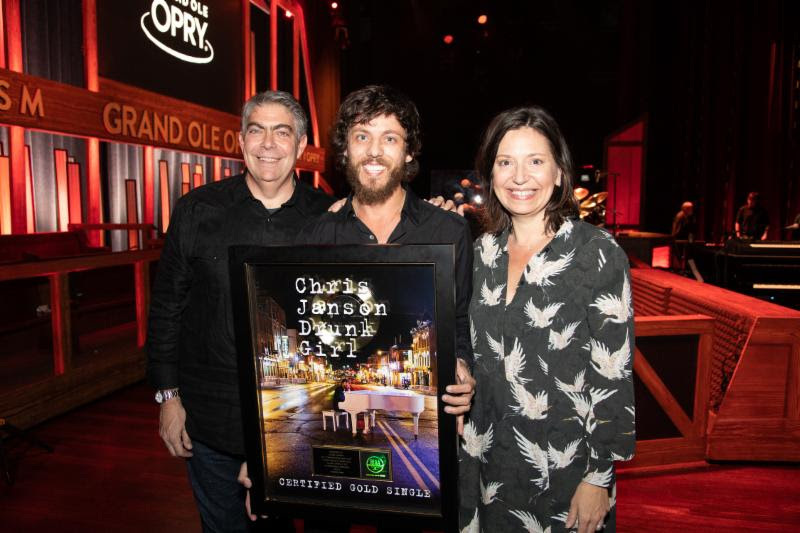 Warner Music Nashville’s Matt Signore and the Opry’s Sally Williams joined Janson in the circle to present him with a plaque commemorating the RIAA Gold certification of his hit single “Drunk Girl,” a song he debuted live on the hallowed stage. 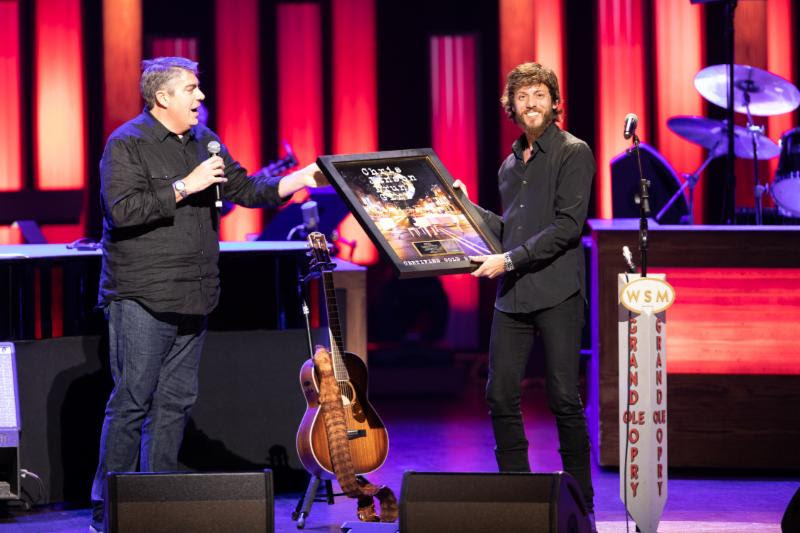 Following in his tradition of performing new music for his Opry family, Janson introduced his new single “Good Vibes” to the crowd before closing out the show with a rendition of his Double Platinum-certified No. 1 smash, “Buy Me A Boat.” “Good Vibes” releases Friday, Feb. 8.